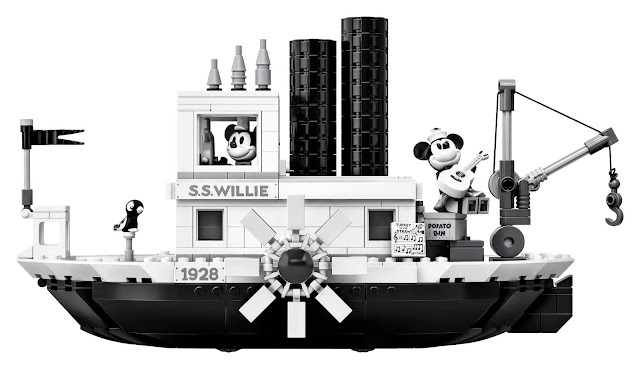 Steamboat Willie is sailing our way and we couldn't be more excited. 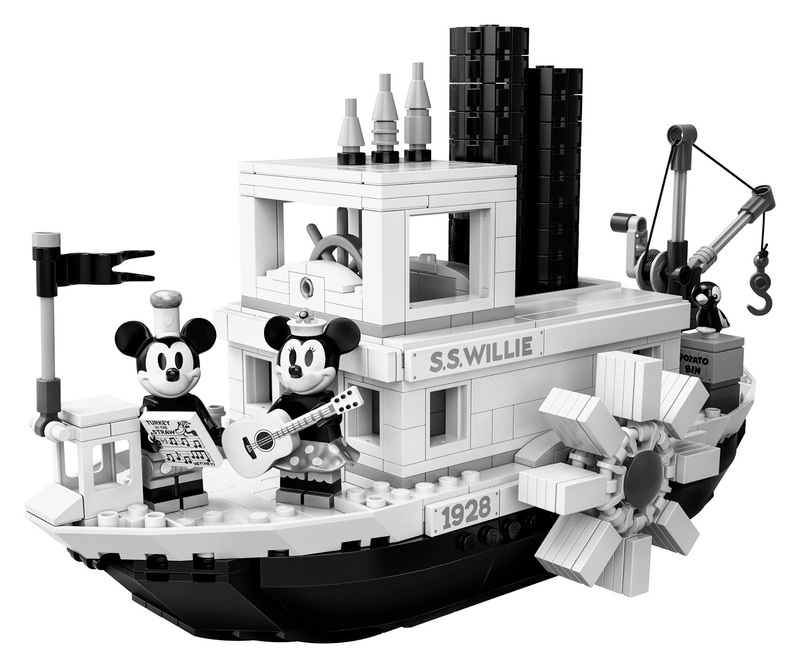 LEGO unveiled the first official images of the LEGO Ideas Steamboat Willie set. The set is based on a concept from the fan-fueled LEGO Ideas crowdsourcing platform. On this platform, fans submit ideas and if they gather enough support LEGO considers the designs for development. The set was inspired by Mickey Mouse's 1928 screen debut "Steamboat Willie" (the first Disney film with synchronized sound). 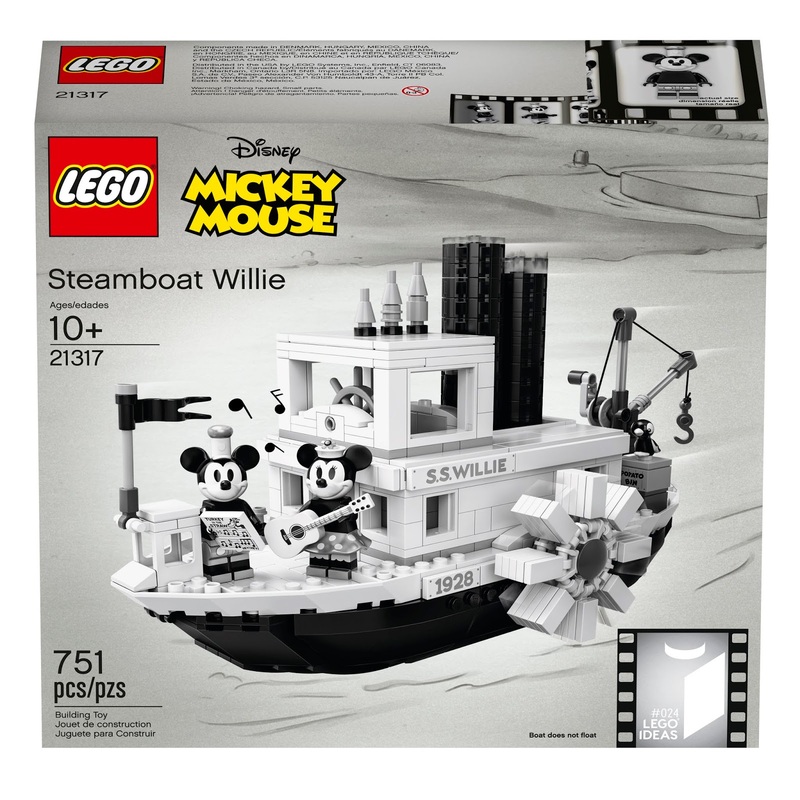 The set features a LEGO brick built version of the S.S Willie, with steam pipes that move up and down and paddle wheels that rotate when the boat is pushed along. 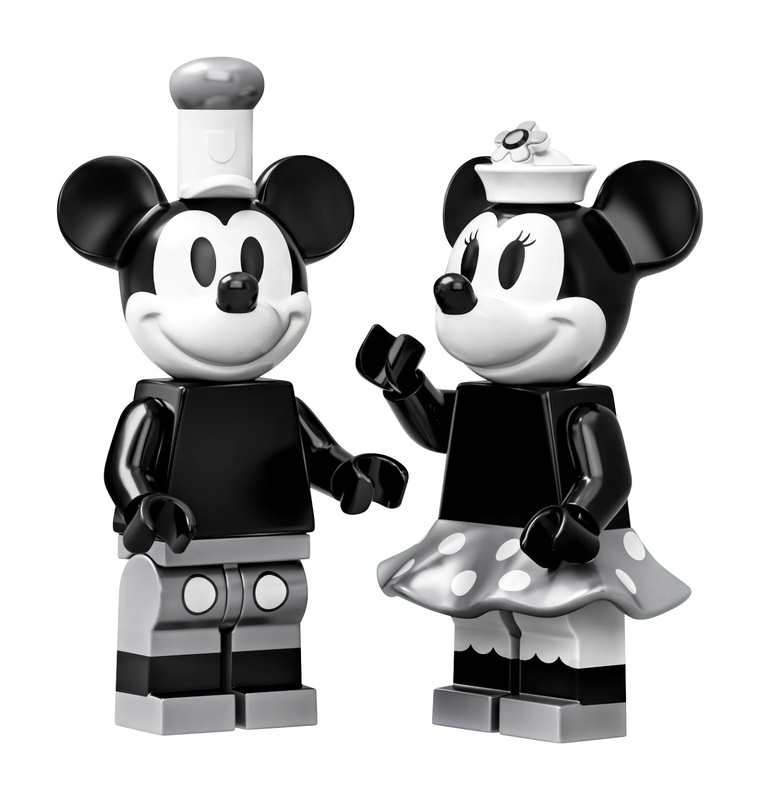 Of course the set would not be as charming without Minnie and Mickey mini figures. 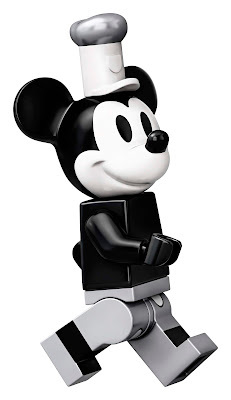 Our favorite Disney characters are decked out in their classic debut attire and look like they stepped right off of the Steamboat Willie movie set. This is absolutely adorable. I like the story behind the idea as well. There is nothing like a passionate Disney fan.